Commissioner Elizabeth Arnold has announced her candidacy for re-election to the office of County Commissioner in Susquehanna County. Ms. Arnold is a lifelong resident of the county and comes from a family of farmers and entrepreneurs. She grew up in Elk Lake and has been residing in Bridgewater Township for the past 25 years. As one of six children Ms. Arnold was raised on a dairy farm run by her parents, Richard and Yvonne Arnold. After graduating from Elk Lake High School she went on to attend technical school where she became a licensed barber manager. Subsequently she owned and operated three different successful businesses. 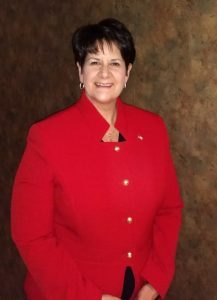 As part of her career development she went on to obtain a real estate license in both Pennsylvania and New York states and joined the Scranton and Broome County Board of Realtors. Recognizing the impact the gas industry would have on the county, she became involved by obtaining a position in lease acquisition. There she learned several aspects of the industry before running for county commissioner in 2015. Serving as Vice-Chair and Chair on the board of commissioners, she contributed to balanced budgets, adherence to regulations and all facets of successful county governance. Since becoming commissioner Ms. Arnold has represented the county by attending the CCAP (County Commissioners Association of Pennsylvania) conferences held several times throughout the year. By attending she has been able to gain knowledge about county government through meetings, educational classes, and networking with fellow commissioners throughout the state. She has recently been appointed to sit on CCAP’s Agriculture Committee as well as the Community & Economic Development Committee for 2019. Ms. Arnold is a strong proponent of our counties Penn State Extension 4-H program which is one of the largest in the state with just under 400 children involved. She believes in sowing into the lives of young people and feels the money the county spends on 4-H is worth every cent, she serves as the commissioner’s representation on this board. She also represents the county on the Endless Mountains Visitors Bureau, which works at promoting tourism and businesses throughout Susquehanna, Wyoming and Sullivan counties. While in office, Ms. Arnold has been part of the Susquehanna County Tick Borne Diseases Task Force, and has worked at bringing awareness and educational events about Lyme disease to the county. Lyme disease can be found in every state in our country with Pennsylvania leading the way in confirmed cases. Currently she and the Task Force are working on an event to be held at the Mountain View High School on April 27, 2019. They have invited renowned Lyme specialist Dr. Daniel J. Cameron, MD of Mt. Kisco NY to come and present. Ms. Arnold is a member of the Montrose Business and Professional Women’s Club and serves as Vice-President, and a member of EMAAC (Endless Mountains Addiction Awareness Committee). Through these two organizations, and the “Stop the Stigma” group, she has helped in bringing awareness about the disease of addiction that is ravaging our country and county. The Montrose BPW, is also the sponsor of the Endless Mountains Empowerment Summit for Women, which has become an annual event here in our county. Ms. Arnold supports this Summit, and believes in the importance of supporting others, and helping them reach their full potential. She is also a member of the Susquehanna County Council of Republican Women. Ms. Arnold believes her experience makes her well equipped to work for the people of Susquehanna County moving the county forward. 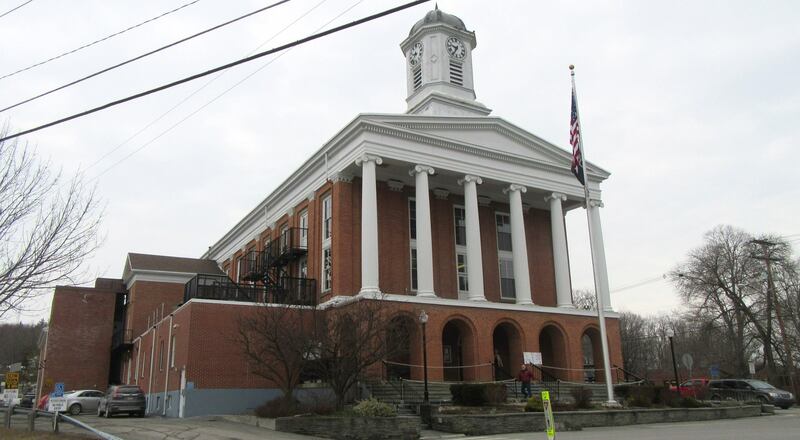 She desires to work collaboratively with her fellow commissioners, county employees and people throughout the county and state to make Susquehanna County the best it can be. She believes fiscal responsibility should be a priority for all those involved in county government, and has been honored to serve the people of the county for the last three years. “I hear people say we need change, since I have been in office, I have witnessed a great deal of change, and have met a lot of wonderful people that are making a difference. From Rails to Trails, to community parks, to food banks, to Addiction Awareness events, to Empowerment Summits, to County Resource Day, to a beautiful new county library built for all to enjoy. I have witnessed our townships and volunteer fire companies receive Impact 13 money that has allowed them to purchase needed equipment and the proper tools to take care of the people they serve. Yes, there is a lot of positive stuff going on in our county, and I’m very proud of everyone that is working to keep our county moving in a positive direction. I believe that my life experiences – growing up on a farm, being a member of 4-H, managing businesses, working in real estate and in the gas industry and more recently as a commissioner – have prepared me to help the people efficiently and fairly manage our county government. I’m looking forward to 2019 and I humbly ask for your support as I seek a second term to serve the people of our beautiful county,” said Ms. Arnold.